Here you can find all deals related to Samsung. Whether it's a Samsung Curved 4K TV, a cheap Samsung Galaxy, Samsung Gear VR or another piece of technology; every day our savvy bargain hunters seek out the best deals to help you save. Price drops from Argos, Mobile Phones Direct, Amazon, Ebay and Samsung itself. You may also be interested in our Black Friday deals and Tom's guide to getting a cheap TV. 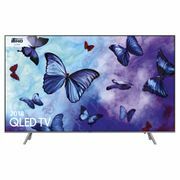 Samsung 65 Inch QLED TV, QE65Q6FN £919 with Code TV80, Free 6 Year Warranty. Samsung is a South Korean multinational corporation founded in 1938 headquartered in Seoul. During the 90s, the company has significantly globalized its electronics and its line of mobile phones have become its most important income source in particular. The company is ranked 6th when it comes to highest global brand value as of 2017. Its Electronics division include products like digital TVs, mobile phones, refrigerators, printers and more. With so many types and models to choose from, choosing the perfect Samsung phone or TV can be daunting especially if you’re on a tight budget. 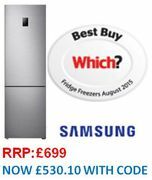 Luckily, our savvy team of bargain hunters are always on the lookout to find cheap Samsung deals such as the latest cheap Samsung phones offer, cheap Samsung tablet deals, Samsung discount code, voucher code and sales. Everyday deals are posted here to ensure you will not miss out on a great bargain. Plus to make it easier for you to narrow down your choices, we have some useful and helpful information here that you could use before buying a new Samsung gadget or appliance. Samsung is doing great, but the competition is getting tougher and tougher. Samsung is one of the leading brands in smartphones and tablets. The company prides itself for having loyalty to their customers that goes head to head with Apple. They are infamous for their Samsung Galaxy series that are Android-based. Their Omnia series that runs with Windows Phone 7 OS was launched in 2009. While their flagship smartphones like the Samsung Galaxy S-series which are always launched during springtime are unlikely to come cheap but are definitely faster and comes with feature upgrades compared to their predecessors. The Samsung Galaxy Tab is the company’s Android-based line of tablet computers. They launched the first model from the series on 2010, the 7-in Samasung Galaxy Tab. Ever since then, numerous models have been introduced in the market with 7.7, 8.9 and 10.1-inch displays. These tablets also have Wi-Fi versions that include a GPS system while the 3G/4G versions include the capacity of a cellular also. If you’re looking for a cheap Samsung tablet, a great place to look is on Amazon where they have a dedicated Samsung Tablet Store so you’re sure to find a model that will perfectly meet your budget. The Galaxy S series are Samsung’s high-end smartphones. The latest in the range was the Samsung Galaxy S8 and s8+ that was introduced in 2017. The smartphones come with super-fast processor, top notch large screens combined with sleek designs. This series includes the fastest graphical processing of any available smartphone today as well as the thinnest. It was also the first smartphone to be certified for DivX HD. To find out the best deals on Samsung S8 and its predecessors, you can use a price comparison website like Pricerunner.co.uk. As of this writing, the best deal on Samsung 8 is on Amazon where you can get it for £468.82 excluding shipping. Amazon Marketplace also offer the best deal on Samsung 7 at £250 compared to the £479.95 price tag of S7 in Argos and their best deal on Samsung S6 is £211.95. For lower versions of the Galaxy S, you can find cheap Samsung Galaxy S5 at Gumtree.com where you can also find deals on both brand new and second-hand conditions. Seller stocks are selling rather quickly so some have a first come first serve policy. If you don’t feel comfortable buying from third-party resellers, you can check out the deals on Music Magpie. They have a wide range of cheap Samsung Galaxy S6 deals and on other models of the series and every phone comes with a 12 month guarantee and you can even get a £10 off at checkout. For contract plans, Three Mobile seems to have the best offer on Samsung smartphones. For example, you can get cheap Samsung Galaxy S7 offer with unlimited minutes and text for just £25 per month plus free upfront. A series for the mid-market range. It is the same as the other mobile phones in the mid-market with that usually comes with good camera specifications and stylish metallic casings. Most of the time the difference will rely mainly on the screen size. The Galaxy A series is similar to the Galaxy S series but comes with lower specs and features. The Galaxy Tab A is part of this series. For the latest release on this series, expect to pay around £250 to £350 but price will dip after a few months or when there’s a new model on the same series to be released, as with most smartphones. At the time of this writing, the best deal on Samsung Galaxy A3 (2017) is £144.99 on eBay. This series is for mid-market and cheaper when compared to A-range mobile phones but they do have much better and advanced cameras. These phones feature a Qualcomm Snapdragon 800 quad-core 2.3 GHz processor with 3GB of RAM and a Full HD Super AMOLED display. The Samsung J series is normally priced at £140 to £200 on Currys and eBay. But Amazon is where you can usually find the best deals on Samsung J series. At the time of this writing, the best deal on Samsung Galaxy J5 SM-J500F is £169.40 with free delivery on Amazon. Because of the news on the battery of this series catching fire, its production was halted and units were recalled so older models like the Samsung Galaxy Note 4 are already unavailable in the market. However, you can still get the preceding models today. This series have the largest screen amongst Samsung’s range and is mainly oriented towards pen computing with all models come with a stylus pen and incorporated with a pressure-sensitive technology called the Wacom digitizer. All models also come with software features for the stylus like note taking and digital scrapbooking apps as well as split-screen multitasking. Currently, the best deal on Samsung Galaxy Note 8 64 GB is £739 at MyTrendyPhone excluding shipping. Buy only what you can afford. Although it’s tempting to get high-end phones, there are plenty of cheap Samsung phones you can choose from that may surprise you. Get just the right screen size for your hand use. Remember that brightness and color quality matters most than resolution when it comes to the phone’s display. Give more importance to a phone’s camera specs like aperture and other special features instead or resolution. Do not settle for something that can only provide you less than 10 hours of usage on full charge. Opt for a smartphone with at least a 32GB storage. When it comes to all kinds of TVs, there’s no doubt that Samsung has been leading the market for about 10 years now. The company provides not just provides outstanding picture quality, and their Smart TV line up offer the most useful features. Plus consumers have a wide array of choices from 24in 720p to 88in QLED that comes in a variety of impressive styles and technology within its variety of models and line of TV sets. Standard and Full HD: These lines are good as secondary TVs. UHD TVs: This line offers budget-friendly 4K UHDTVs. Premium UHD: Perfect for your family’s movie or game nights. QLED: This line is perfect for your home theater. Frame and Serif: These are TV models that looked like pieces of art that will look great on your living room. You can find a cheap TV deal for 4K TV, OLED TV, HDTV and more by checking out our latest TV deals and money saving tips from our community of bargain hunters.